The Part Time Gourmet: Swordfish Goes Good with....Cheese? 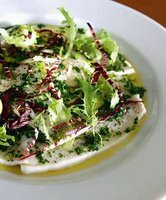 Steve Manfredi in the Syndney Morning Herald notes that when it comes to Italian cuisine, we don't often think of fish and cheese as going well together. He says Swordfish with a sharp, mature cheese can make a very good match. Lemon and lime; butter and extra virgin olive oil; firm cheeses such as parmesan and pecorino; herbs, especially coriander, parsley, fennel, basil, oregano, rosemary; spices such as cumin, paprika, cayenne pepper, fennel seeds and black pepper; chilli; garlic; fish sauce; soy sauce; sambal; vinegar; capers; olives; bitter salad leaves such as sorrel, rocket, radicchio and endive. Following that are two quick recipes. 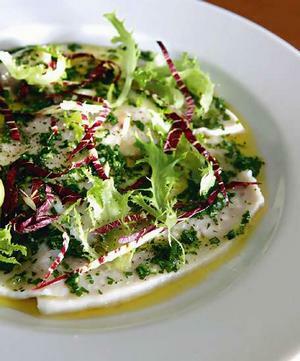 "Marinated swordfish with endives" and "Swordfish baked in bread with pecorino"